Banking sector in India has been growing rapidly ever since its inception. There is full heat competition among various private and public sector banks regarding who provides better banking services and attract more and more customers. It's all about comfort and service nowadays. One that provides lucrative services is loved by each and everyone. Talking about the public sector banks, Punjab National Bank (PNB) does not need any introduction at all. It has been providing banking services to people of India for several past decades. The bank is known to provide full satisfactory customer service. Introduction of new facilities keep happening from time to time so as to keep the interest of its ongoing customers, and also to attract the attention of new customers. Out of all services PNB offers, 'Account Balance' checking via various comfortable ways is what bank's customers like the most. PNB lets you check your account balance via a number of ways, and you can opt for the one that is most comfortable to you. Below I'm providing full details regarding how to check PNB Account Balance online or offline. As already mentioned, there are various ways by which you can check Punjab national bank account balance. Do read the next section to get detailed knowledge of all. Ahh! It's era of short-messaging-service, right? Mobile is what stay in pocket of everyone all the time, wherever we go. So, getting Account Balance details via SMS is nothing less than a boon, right? Here's how you go with it. All you need to do is to send an SMS from your registered mobile number. Yes, 'Registered Mobile Number' is compulsion here. You can't get account balance details by sending SMS from any random number. Note: In case your mobile number is not registered in your PNB account profile, get it done right away. You can do so by visiting nearest PNB branch and completing the basic formalities there. You can do it by calling to customer care and then answering the verification questions. Here is SMS pattern you need to follow: BAL<Space> "16 digit Account number" and Send it to 5607040. You will get a reply SMS from PNB that contains your account balance details. MINSTMT<Space> 16 digit Account Number and Send it to 5607040. 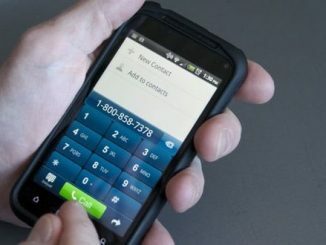 Typing SMS and then sending is tedious task for you? No worries! There is even simpler method to check PNB account balance in seconds. You just need to give missed call to 18001802223 or 01202303090 from your registered mobile number. Make sure that you give missed call from registered mobile number only. Also, you need to cut the call on your own. It's number of customer care center, and if you don't cut the call, you will be taken to language selection steps and all. 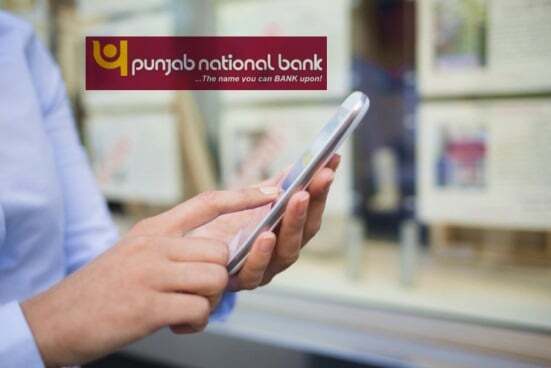 Just like other popular banks, PNB offers comfortable banking service online. You get numerous banking facilities in internet banking of PNB. One basic out of them is checking account balance. Just go to the PNB Internet Banking portal, enter user id and password and you will be taken to your account. There you can check your bank account balance with ease. So, when it's about methods to check PNB account balance, you get comfort at its best, right? Although there is nothing to get interrupted by, but still, in case you need any assistance from our side, comment section is nothing less than a communication channel. how to check pnb savings account balance online. 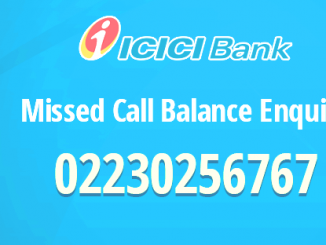 I have tried so many times but the missed call facility for checking the a/c balance is not working. Visit any nearest PNB branch and get your Mobile Number registered in the account. sir my first register no in Oman Muscat which is already lost sim now I am in Dubai how I can register Dubai no on pnb. I want to register my new mobile number for missed call facility provided by Punjab National Bank. Sir mujhe ac me apna mobile no change karana hai vo no miss ho gya hai. Sir I opened an account no 2043001700112283 before 2 year. He demands 120 rs for passbook. How to register for balance enquiry service in Punjab National Bank? shortest way to check pnb ac balance check by this method?? I WANT TO GET SOME INFORMATION ABOUT MY A/C BALANCE. PLEASE SEND ME DETAILS IN MY EMAIL I.E. Give the written application form where you opened your bank account. I have pay to cash PNB checks amounting to 10000 issued to me last August 24, 2009. Can i still encash it? I can be reached at 09155960354. I want to get pnb account statement is it possible to get in my mobile. How to get pnb account statement? MINSTMT 16 digit Account Number and Send it to 5607040. Hello sir, I have a saving account but I cannot register my Mobile number yet so plz tel me how to register my no through sms, mob- no is --9836635800.
pnb missed call balance enquiry no is not working. How to check pnb atm card balance online? How to get pnb mini statement by miss call? I was registered my number but when i call either it comes busy or not responding even if when i message on the given number by following steps, unable to got balance inquiry. It making joke please provide right link or number. Please help needed for register my number with PNB saving account. I want to know pnb account balance check toll free no. i want to know my saving account balance by sms on mobile number 8727944989 But my registered number is 9814299126. my account no is 1154001500006751. Plz sir my mobile no registered 9988332857 miss call balance inquiry. I want to know that how many check the balance to different account number to same mobile number. I have account with PNB. How can I find out Principal amount due through SMS. How to do Pnb balance enquiry through ATM? Sir please register my mobile no. 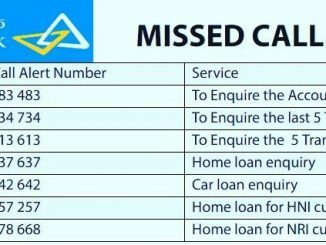 9719415714 for missed balance enquiry? Can you tell me the process for registering for PNB miss call banking? my mobile no.is 8127719310,plz resister this no for sms alert. my mobile no is 9795372901 plz resister this no for sms alert. I also want to my pnb saving account balance through missed call. 9721585564 pleas check the mobile number registered yes or no? Get balance details via email address. sir i want to now my account balance no is 33292572424. Sir can i get balance details via email address. Sir follow all steps and register your mobile number... we can Guide you only from our side. I am unable to check money via miss call plz help. Pleas register my mobile number 7566834884 for miss call alert. I am unable to enquiry PNB account balance. Please register my mobile number 9999388380. Can you tell us the procedure how to register for PNB miss balance enquiry service?